Hoover is the other puppy in our “vacuum cleaner” litter. He is 3 months old and such a sweetie. He loves to romp and play, takes good puppy naps, chews on his toys and wrestles with his brother. Then when he is all tired out he loves to cuddle. 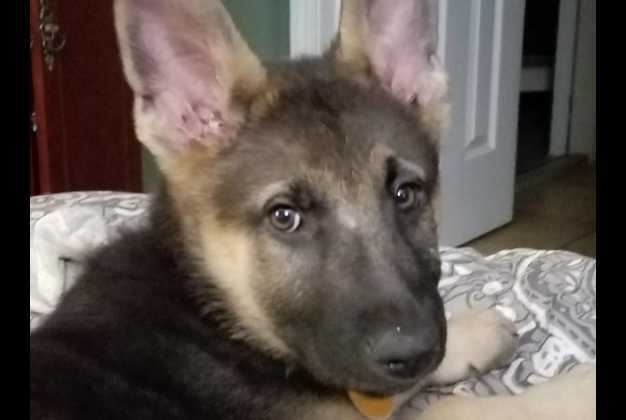 He is currently being fostered in a home that has a full grown gsd and a small dog and Hoover is friends with everyone. male If you would like to meet Hoover, please complete the online application and an adoption counselor will contact you.